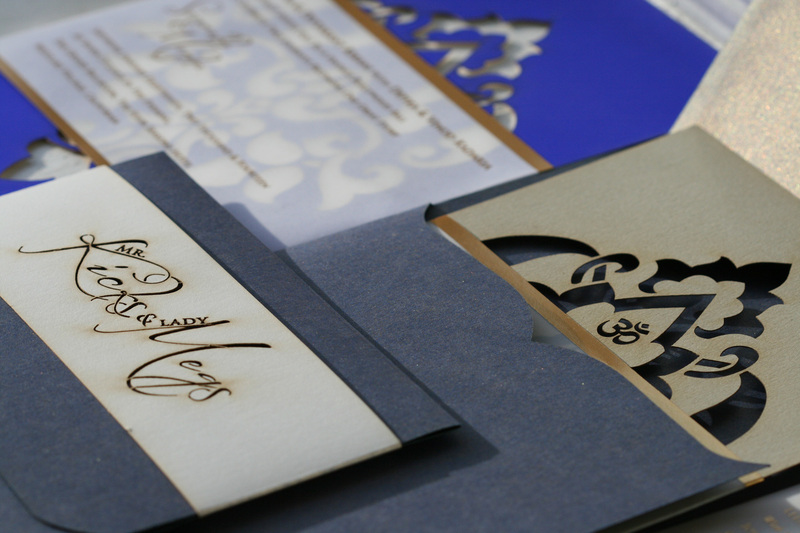 Layered laser cut wedding enclosures & invitation each one wrapped in velum and printed with champagne gold foil. Pulled together in a custom made shimmery gray pocket with a laser cut belly band. 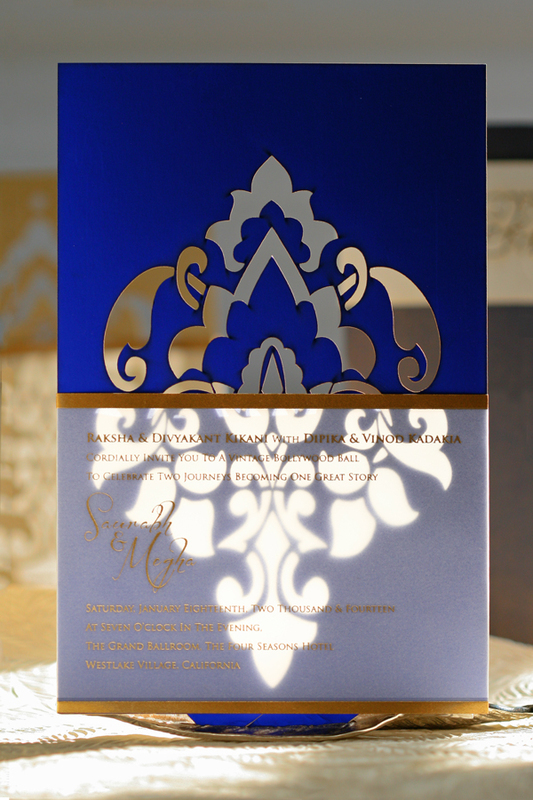 Created in mixed metals for Megha & Saurabh’s luxe wedding at the Four Seasons Westlake Village in California.